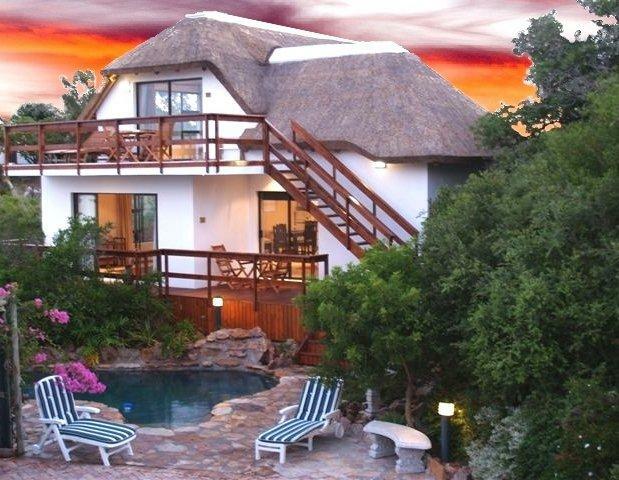 Accommodation in St Francis Bay: Cottage on the Hill Guest House. 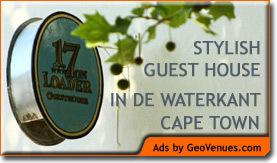 You are here: Home / South Africa / Accommodation in St Francis Bay: Cottage on the Hill Guest House. This exclusive 5 star Thatched Beach Retreat offers the highest standard of personal service and hospitality. Situated on the ridge overlooking the bay, the executive suites and charming Guinea-fowl Cottage command magnificent ocean views. Take an easy stroll to the beach, restaurants(try our superb sea-food) and explore our unique village. Sip sundowners on your private deck and enjoy the last rays of the sun over the bay before slipping into percale cotton sheets. Hearty breakfasts are served, beautifully prepared with emphasis on organic natural ingredients. There is a self-catering option. Children over the age of 14 years only. Cottage on the Hill Guest House.